When the long-awaited Elders’ care centre in Fort Chipewyan, Alta., opened in spring of 2014, the Mikisew Cree First Nation planned to dedicate it in the memory of Willie Courtoreille. The facility’s family room would be named after the long-time band councillor, who talked about his community needing the facility for the past three decades. Willie was killed in a vehicle accident before he could see his dream come true. He lost his life Dec. 10, 2013 on Highway 63 about 40 kilometres south of Fort McMurray, a route many say should be twinned because so many have lost their lives travelling it. The driver of the armoured car was also killed, and his passenger was injured. Peter said it was typical of his dad to want the best for others. In this case for the Elders of Fort Chipewyan to be comfortable and to be able to stay in their own community as they aged. “He was very dedicated to his family and community,” said Steve Courtoreille, chief of the Mikisew Cree First Nation and Willie’s brother, in an article published in the Northern Journal. “This centre is the perfect way to honour him. He was very knowledgeable in our traditional knowledge and culture, which lives in our Elders,” Steve said, adding his brother was his mentor and friend, often advising him in leadership matters with wise words. In earlier years, Willie’s knowledge of the land and water was invaluable to Wood Buffalo National Park’s fire response team. He also worked for Parks Canada giving interpretive tours and revelled in sharing his familiarity of the natural world with visitors. “He knew which portages were grown in, and which were still open, stuff like that,” explained Peter. 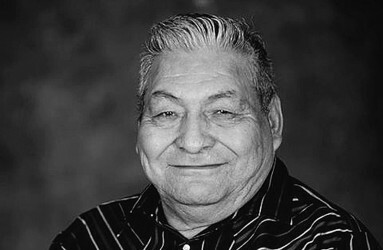 Willie grew up on the land at Birch River, about 70 kilometres west of Fort Chipewyan, and trapped for a living as a young man, he added. Jumbo Fraser, a friend of Willie’s, told Peter an anecdote about his father’s lack of faith in modern inventions. David Poitras, who attended Fort Chipewyan’s Holy Angels residential school with Willie, shared an amusing story about their youth. He told the Northern Journal that one year, a visiting priest issued the students a challenge: the boy or girl who could write “Jesus, Mary and Joseph, pray for us” the most times would win a pure white sled puppy he had been breeding. “We were all writing in every spare minute we had. We all wanted that puppy,” Poitras recalled. When it was announced that Willie had won the puppy, disappointment descended on the other students who had been writing their fingers to the bone. But, 40 years later, when Poitras met up with Willie around a camp fire in Wood Buffalo Park, he asked him what it had been like to own the puppy everyone wanted to take home. Despite his childhood deceitfulness, from all accounts, Willie grew up to be an upstanding community member. “He was an awesome father and he phoned me just about every day. People, not just our family, went to him when they had a problem. And he’d give you the last dollar he had in his pocket if you needed it,” said Peter. An acquaintance from Toronto told a story about Willie at his funeral, attended by about 600 people, demonstrating the band councillor’s intolerance for bullying, according to Peter. “He said he was in a meeting with my dad when a lawyer hired by the government started to use big words and speak in a condescending way to the Aboriginal people in the room. Willie was born on Feb. 16, 1940 and is survived by his wife of 53 years, Mary, seven brothers, nine children, 39 grandchildren, 24 great-grandchildren, and one great-great-grandchild.